15 Responses to Hatsune Miku fan art completed! but it will be better if you have more shadows done to make Miku-chan more outstanding, imo. nice fan art. me look forward to more moe anime related fan art. A very nice piece of fan art for sure! Great coloring too. Gotta love Miku! 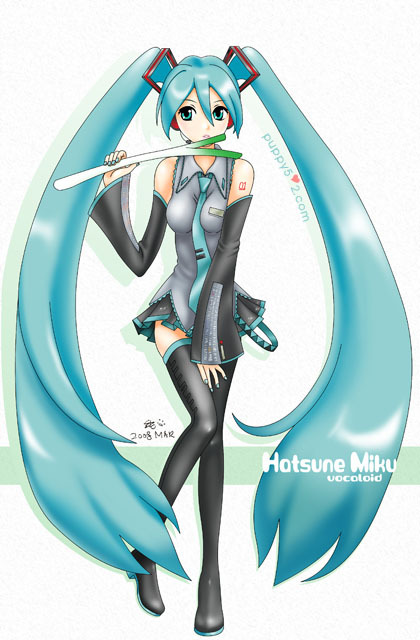 Ohh nice miku art there chun. @chun : Okay, so I don’t have to worry~ Thanks for the reply!